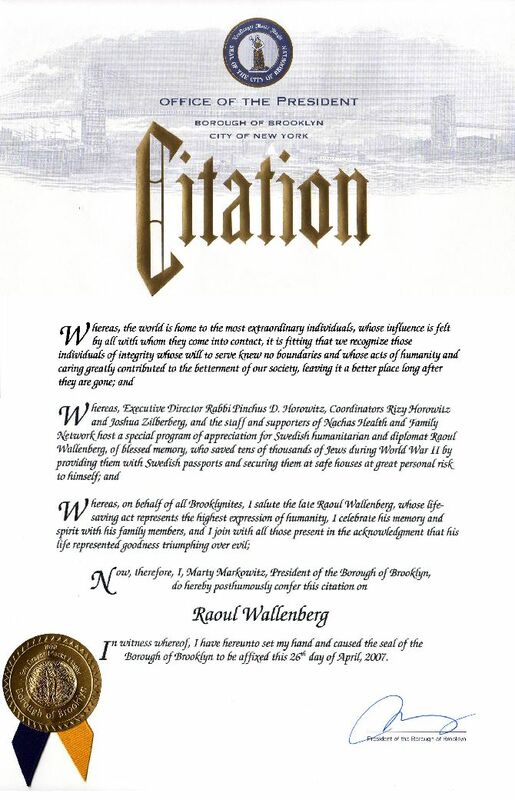 Nachas Health and Family Services reached out to the International Raoul Wallenberg Foundation to organize a tribute in honor of Raoul Wallenberg, the Swedish diplomat missing since January 1945 after saving the lives of tens of thousands of Jews and other persecuted by the Nazism during World War II. Among their database of over six thousand Holocaust survivors, Nachas found that many survivors had been rescued by Wallenberg. 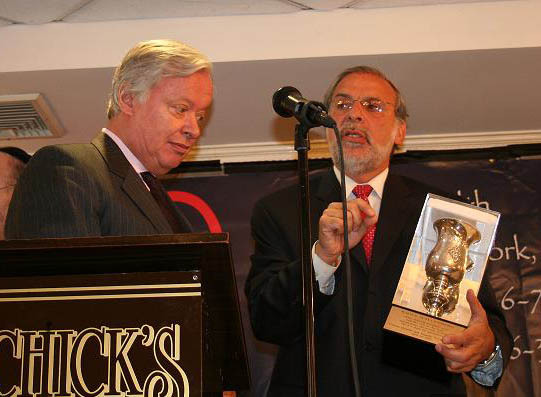 The event took place on Thursday, April, 26th in an auditorium full of Holocaust Survivors and their families. 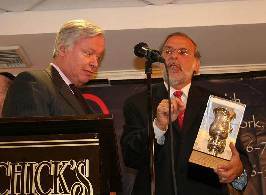 Assemblyman Dov Hikind, a renowned spokesman for Jewish people over the world was the Emcee. During the ceremony, Ambassador Ulf Hjertonsson, Consul General of Sweden in New York accepted, on behalf of the diplomat’s family, a tribute honoring Raoul Wallenberg which will be presented next month to Wallenberg’s sister, Nina Lagergren, in Stockholm. Ambassador Hjertonsson briefly narrated Wallenberg’s story before passing the microphone to Abigail Tenembaum, Vice President of the International Raoul Wallenberg Foundation, who underlined the organization’s commitment to preserving Raoul Wallenberg’s legacy alive through programs such as the videotaping of interviews with people saved by Wallenberg, presentations in schools and the signature campaign to reveal Wallenberg’s fate. A tribute and a citation to Consul General of Portugal in Bordeaux, Aristides de Sousa Mendes, were also presented. His granddaughter, Sheila Abranches received both recognitions on behalf of her family. Aristides de Sousa Mendes saved 30,000 lives in a three day marathon of issuing visas that allowed persecuted people to flee France. Rebitzen Esther Jungreis and Gideon Taylor, President of Claims Conference, were among the guest speakers.